The following incentive payments are available to BC’s eligible family physicians. The purpose of the incentive payments is to improve patient care. To read the full preamble for the GPSC billing guides, click here. For billing inquiries, please e-mail us. Locums working in host family physician practices where the GPSC Portal Code (G14070) has been submitted in the same calendar year can submit the GPSC Locum Portal Code (G14071) to access the incentives listed above while covering the host FSFP. Chronic Disease Management (CDM) Incentives provide funding for GPs to identify, manage and improve care of patients with diabetes, hypertension, chronic obstructive pulmonary disease, and congestive heart failure. These incentives compensate family physicians for the additional work, beyond the office visit, of providing guideline-informed care to patients with these diagnoses over the course of a full year. To support team-based care, management of chronic diseases can involve Allied Care Providers, who may provide one of the visits required for CDM fees. Two complex care incentives compensate GPs for the time and skill needed to care for patients with eligible complex conditions. 14033 is payment for managing patients who have documented confirmed diagnoses of at least 2 eligible chronic conditions as outlined within the Billing Guide. 14075 encompasses patients of any age with frailty requiring assistance with instrumental (IADL) and non-instrumental (NIADL) activities of daily living. Care expectations for patients with eligible complex conditions includes the development of a care plan and ongoing clinical follow-up of the patient over the subsequent year. Conferencing incentives support collaboration between participating community family physicians and other health care professionals by compensating GPs for conferencing with other Allied Health Care Providers such as specialists, GPs with speciality training, or nurses and other non-physician health care providers in the management of patients. Telephone Advice incentives remunerate GPs with speciality training, and support teleconferencing with other physicians and allied care providers. Lastly, FP to patient telephone and two-way relay communications via phone, text or email help improve efficiency of care through other non face-to-face ‘visits’ or ‘touches’ between the physician or specific delegated staff, and the patient or their medical representative. The in-patient care incentives recognize the importance of continuous doctor-patient relationships including the coordination of patient transitions between hospitals and the offices of community family doctors. It is designed to support and extend the existing care provided in a family doctor’s practice to a hospital environment and back again. The in-patient care incentives and fee promote and support physicians who participate in the GPSC's In-Patient Initiative. The maternity care network incentives support family doctors providing obstetrical and full-scope maternity care to patients in their community through links primarily with other GPs. GPSC obstetrical delivery incentives are intended to encourage family practitioners to continue to provide intra-partum obstetrical care as part of their practice. The set of mental health incentives support and compensate family doctors for the time and skill it takes to work with patients with mental health conditions. Doctors develop care plans in collaboration with the patient and their support network and, where needed, become an active member of a broader care team in order to help those patients remain safely in their community. The palliative care incentives help GPs provide compassionate, collaborative, and holistic care to palliative patients by enabling them to take the required time to plan and coordinate end-of-life care for their patients. These fees support the work of family doctors supporting their patients through the various decisions and plans that need to be made to ensure the best possible quality of life for dying patients and their families. This incentive compensates the family doctor for undertaking and documenting a care plan. The family physician is uniquely placed to fit the available health promotion and recommended disease prevention interventions to the individual patient, based on their knowledge of each patient’s personal medical condition, family history, and social, lifestyle and work circumstances. Under this initiative, Family physicians can initiate Personal Health Risk Assessment visits with at risk patient populations as part of proactive care, or in response to patient request for preventive care from the patient in one of the target populations. 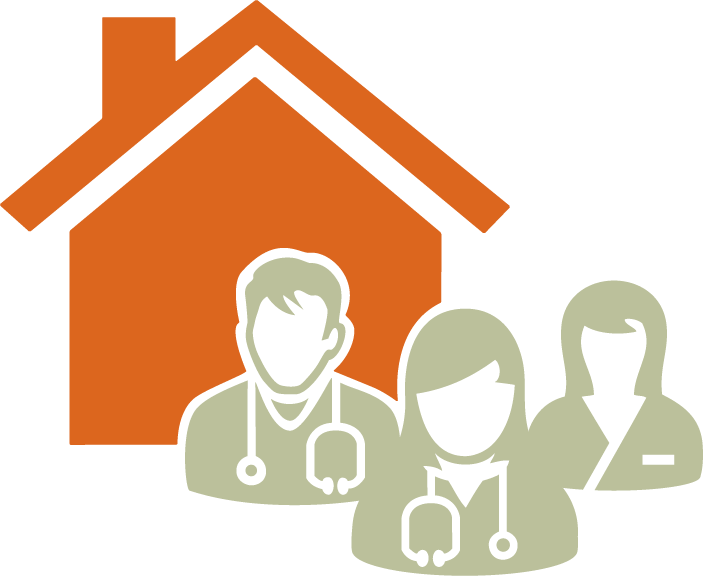 The GPSC Residential Care initiative is designed to enable physicians to develop local, scalable, and sustainable solutions to residential care delivery. 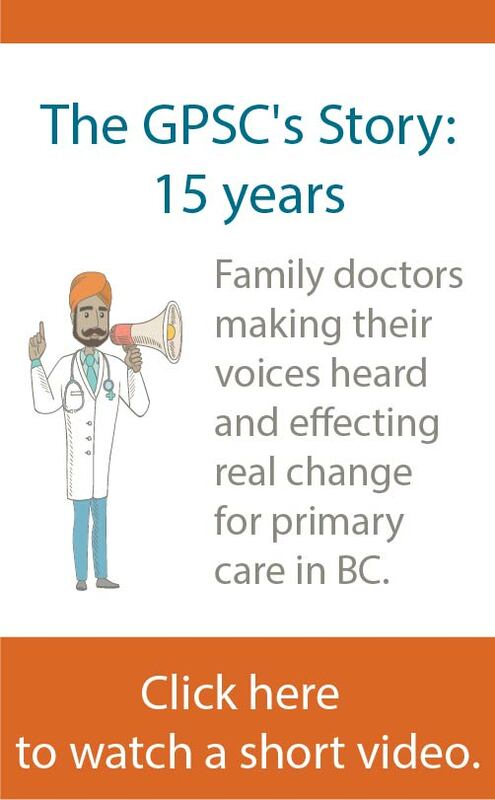 The initiative supports Divisions of Family Practice, or self-organizing groups of family physicians where no Divisions exist, to design and implement local solutions that deliver dedicated GP MRP services for patients in residential care facilities. In addition to the initiative funding, there are a number of existing GPSC incentives and MSP fees available to support full-service family physician who provide residential care services.